Homesickness was definitely one of the common problems amongst international students. One of the best ways to cure this is to throw yourself out there and get involved in as many things as possible. Use the Bunfight session during the freshers week to learn more about extracurricular activities you can get involved in. Join societies, make new friends, and travel. What attracted you to the University of Southampton? The University of Southampton was one of the best universities to study an aeronautical engineering course in the UK. It also provided an integrated foundation year course, and an opportunity to spend a semester abroad in other countries. The research in the aerospace area at Southampton was known as one of the best in the UK, with industry partners such as Airbus and Rolls-Royce. What were you doing before you started your course? I studied the engineering foundation year prior to commencing the first of my MEng Aeronautics and Astronautics degree. Prior to that, I finished my IGCSEs at the British International School, Phuket. Why did you decide to do a postgraduate course? A postgraduate course (MEng) offered more opportunities in terms of the career path, as well as a chance to apply the knowledge into the group design project, and specialise further into fields such as aerodynamics. What did you enjoy most about studying at the University of Southampton? I spent a semester during my third year at Penn State University in the United States, and it was one of the most amazing experiences during my time as a student. 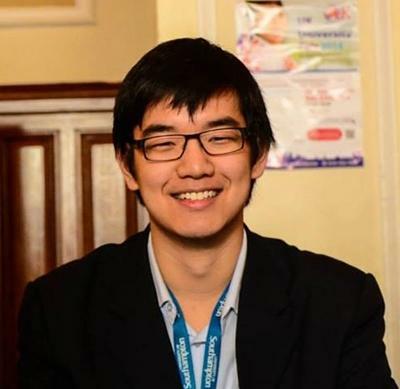 Furthermore, I was also involved in extracurricular activities – I was involved with the University’s Piano Society, and became treasurer during my second year, and president during my final year at the university. What did you enjoy most about living in the City of Southampton? Southampton is only an hour away from London by train, and Southampton is relatively warmer compared to other cities in the north. It is also less than an hour away from other beautiful cities on the south coast. Transport in Southampton is also perfect, with frequent bus and train services running throughout the city. Did you encounter any difficulties during your time studying and living in Southampton? The people in the international office were a bunch of friendly people. In fact, I became a student ambassador for them, and I had the opportunities to represent the university at various education fairs, talking to prospective students about what it was like to study at Southampton. I also landed my first internship working in the international office working on their databases, which led to part-time job there, as well as other internship opportunities elsewhere at the university and outside the university. Finally, I received a Santander scholarship when I went on the exchange programme at Penn State University. In return, I blogged my experience at Penn State for the international office. What is your advice to prospective international students, especially from your country? What should they expect and be prepared during their study? I would recommend students from Thailand to make the most out of the opportunity (studying abroad) by meeting and networking with other international students from all over the world. Forging friendships with other international students was one of the most rewarding experience during my time studying abroad. Most Thai students will arrive in Southampton during the summer or autumn seasons, so I wouldn’t recommend packing winter clothes. Cheap winter clothes can be bought in the UK. Language barrier can be a big issue for students from Thailand. My advice is don’t be afraid. Once you overcome that fear, your English will improve tremendously.